Quick show of hands: Who works remotely in 2019? The game has changed, and really now all you need is a laptop and a stable internet connection to make a living. However, sometimes your couch or local coffee shop won’t cut it, and you need an actual desk and office to get things done. 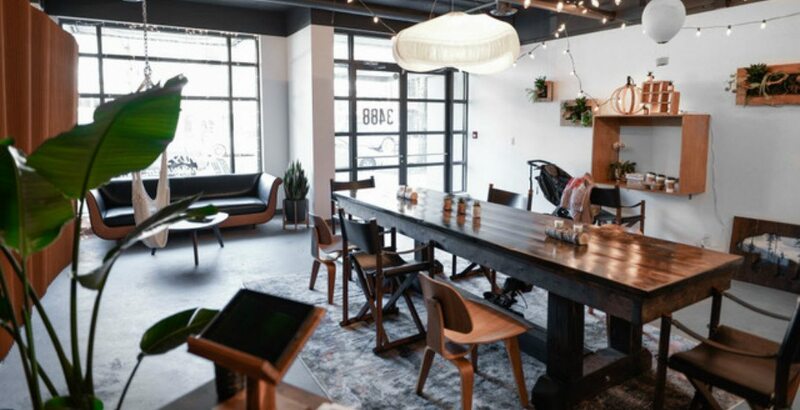 Luckily, in recent years a host of co-working spaces have popped up across the city to address that very need. A struggle that some professionals still face is finding care for their children during work hours. Waiting lists at licensed childcare facilities can easily hit triple digits, while daycare prices have been steadily rising for years. Sometimes it can feel like there is no solution. 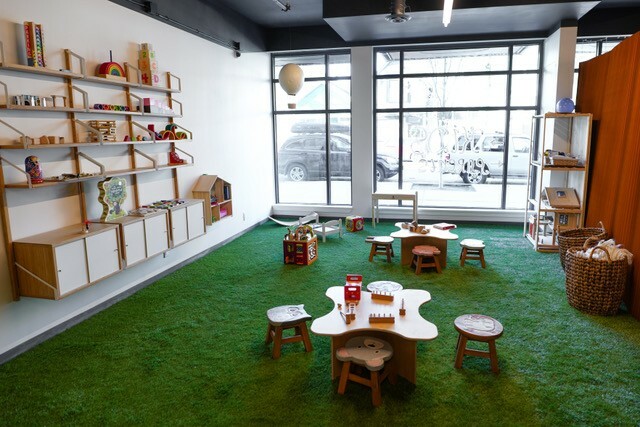 Child-friendly co-working space Inside Out is here to fill the gap in the marketplace. 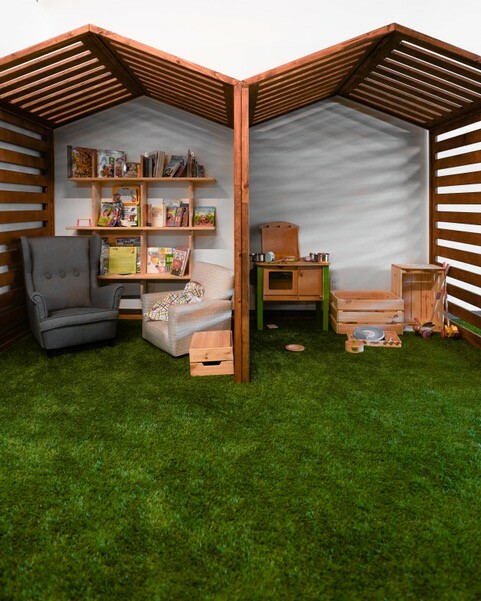 With facilities you would normally find at a co-working office, it is paired with fun, educational activities on-site where your children can play and learn while you work. At Inside Out, you can choose from a hot desk at the community table, a private corner office, or keep it casual in the lounge. There are 14 inspiring, unique work-spots you can use for 15, 30, 40, or more hours a month — all at your convenience. All you have to do is book online. If you need some work time, or have a meeting, or even just need a quick break for coffee, the teachers at Inside Out are hosting classes for children that include yoga, music, singing, body movement, crafts, science, and reading. With Vancouver childcare costs ranking as the second highest in Canada (what’s up Toronto), Inside Out takes all the stresses of juggling remote work with fighting for slots at daycare. Parents, now you can focus solely on your work, with the knowledge that your kids are just steps away at all times! Inside Out is open from Monday till Sunday, with the hourly rate including desk space, high-speed internet connection, as well as engaging activities for toddlers and preschoolers, starting at just $10 an hour. 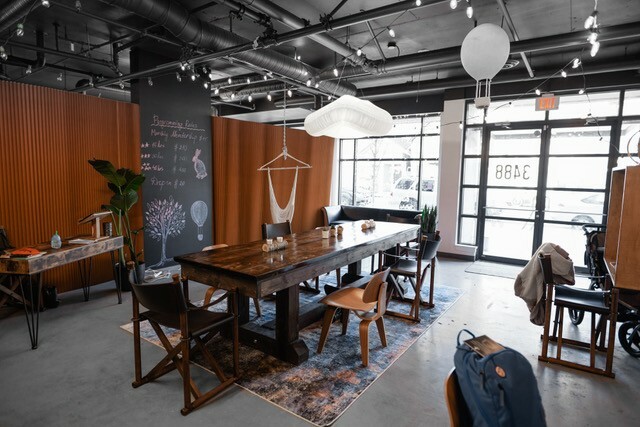 The best thing is, they have just launched their crowdfunding campaign to help finish remaining construction and in turn make parents lives more meaningful through their child-friendly work-space. You can take advantage of the rewards as sweet as $5 an hour!